* Allagash Brewing Company (Portland, ME) – Fat Funk Ale features a De Dolle house Belgian yeast strain, which adds pear, banana and spice to Fat Tire’s malty goodness. Expect notes of stone fruit, sweet tart and peppercorn. * Avery Brewing (Boulder, Colo.) – Fat Wild Ale focuses on a fruit-forward hop bill featuring Huell Melons and a dose of brett evoking notes of apricot and pineapple. * Firestone Walker (Paso Robles, CA) – Fat Hoppy Ale focuses on what Firestone Walker does best – big beautiful hop forward ales. Fat Hoppy has a light malty sweetness initially, with a subtle bitterness in the middle that lingers ever-so-slightly. * Hopworks Urban Brewery (Portland, OR) – Fat Sour Apple Ale starts out with a snap of tartness, courtesy of Lactobacillus and apple juice, then gets balanced with Fat Tire-inspired malty sweetness and slight herbal bitterness. * Rhinegeist Brewery (Cincinnati, OH) – Fat Pale Ale focuses on two components: Rhinegeist Brewers’ malt interpretation of Fat Tire married with the fruity, wild, almost wine like character of Fiction. Together they offer up a slightly bready, biscuity and slightly toast malt backbone combined with fruity Southern Hemisphere hops and abundant fruity esters from the strain of Belgian yeast that Rhinegeist used. De Koninck Flowering Citrus Ale is another New Belgium Lips of Faith collaboration beer available now. This collaboration with Antwerp, Belgium’s historic De Koninck Brewery, (http://www.dekoninck.be/en) offers a pop of key lime and lemons. The fragrance of hibiscus, rose petals and strawberry-tinged Mistral hops make it the ideal beer for soaking in summer days. To find any of these beers near you, use the New Belgium Libation Location tool: NewBelgium.com/Beer/Finder (http://www.newbelgium.com/Beer/finder.aspx) or download New Belgium’s Beer Mode (http://www.newbelgium.com/app?autoredirect=1&utm_medium=email&utm_campaign=Citradelic+Launch&utm_source=ExactTarget&utm_content=citradelic) app. For more information about New Belgium Brewing, visit NewBelgium.com. (http://www.newbelgium.com) You can also follow New Belgium on Facebook at Facebook.com/NewBelgium (https://www.facebook.com/newbelgium?fref=ts) and Twitter @NewBelgium. 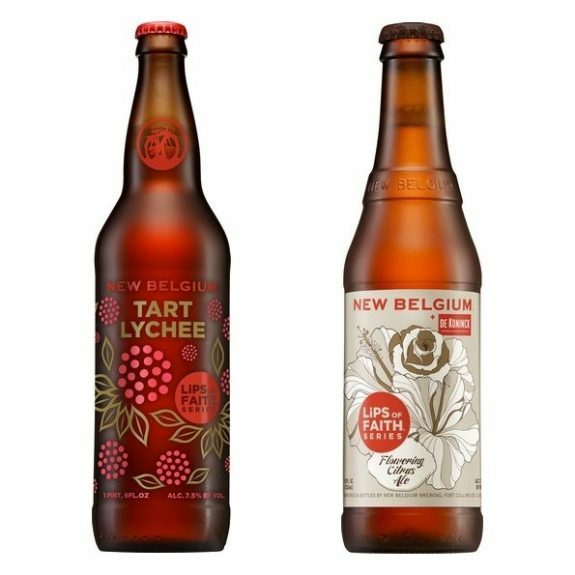 About New Belgium Brewing Company ? New Belgium Brewing, makers of Fat Tire Amber Ale and a host of Belgian-inspired beers, is recognized as one of Outside Magazine’s Best Places to Work and one of the Wall Street Journal’s Best Small Businesses. The 100% employee-owned brewery is a Platinum-level Bicycle Friendly Business as designated by the League of American Bicyclists, and one of World Blu’s most democratic U.S. businesses, and a Certified B Corp. 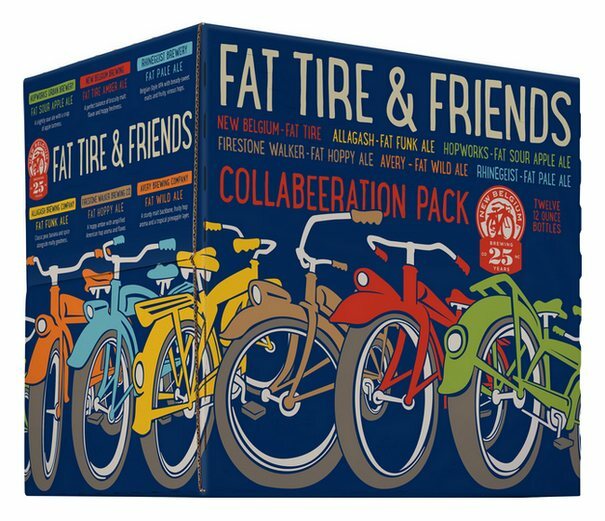 In addition to Fat Tire, New Belgium brews thirteen year-round beers; Citradelic Tangerine IPA, Ranger IPA, Rampant Imperial IPA, Shift Pale Lager, Slow Ride Session IPA, Snapshot Wheat, Sunshine Wheat, 1554 Black Ale, Blue Paddle Pilsner, Abbey Belgian Ale and Trippel and a gluten-reduced line, Glutiny Pale Ale and Glutiny Golden Ale. Learn more at www.newbelgium.com (http://www.newbelgium.com/).